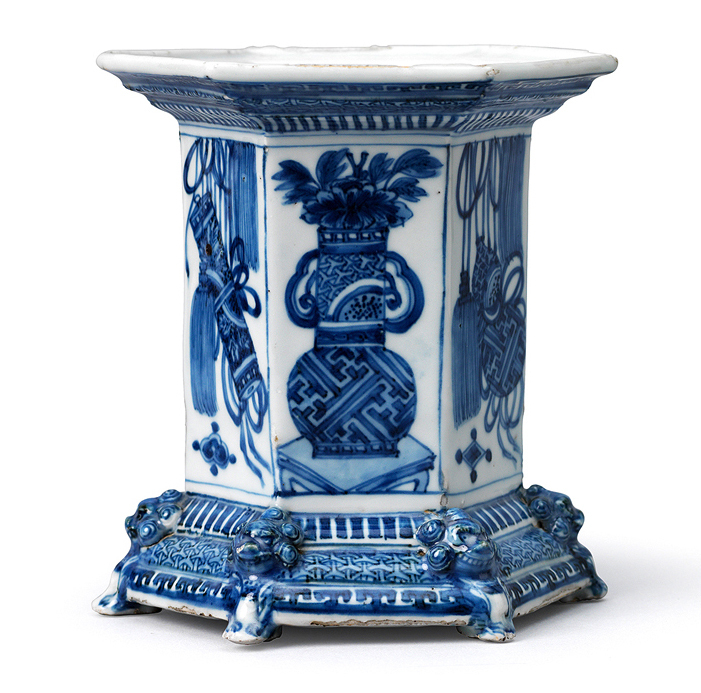 Highlighting the breadth of art and antiques across different categories at the TEFAF Maastricht fair, two pieces on separate stands helped tell the story of the development of the salt cellar in the 17th century. A Ming dynasty, Wanli period (1573-1619), hexagonal salt cellar on the stand of Chinese export porcelain specialist Jorge Welsh was of a kind derived from a European metal prototype, an example of which appeared in an Old Master painting dating from the same period on the stand of David Koetser Gallery from Zurich. London and Lisbon dealer Welsh spotted the painting during the vetting of stands before the fair opened and immediately recognised the salt cellar depicted in the Flemish still-life. It was a metal ‘tripod’ salt cellar the like of which would have been sent to China and inspired the ceramic models made by the Chinese which, in turn, were then exported back to Europe. The oil painting offered by David Koetser was by Alexander Adriaenssen and was dated to 1647. 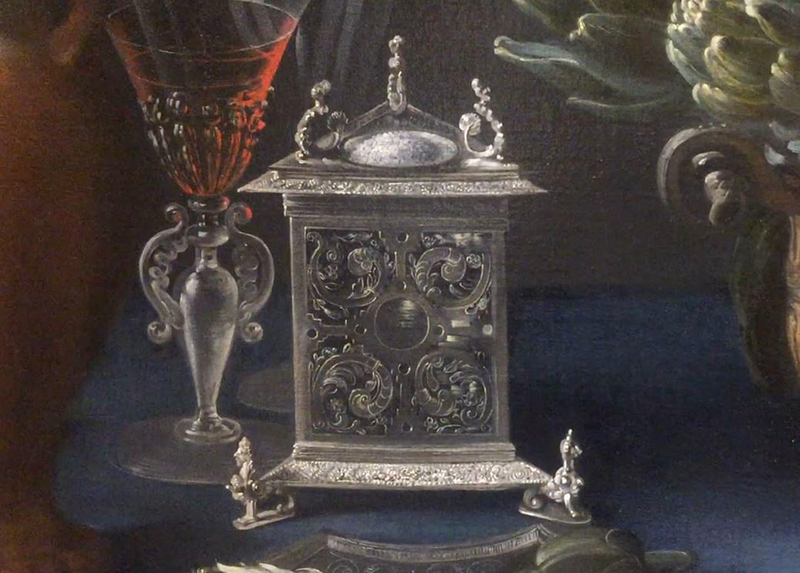 Measuring 2ft x 2ft 8.5in (61.1 x 82.2cm), it came from a private collection in Switzerland and was titled Still-Life with Artichokes in a Silver Gilt Wine Cistern and other Silver Objects. Welsh’s salt cellar salt measured 5.75 x 5.25in (14.6 x 13.5cm). It sold for a mid-six-figure sum to a private collector from Europe during the first two days of the fair.